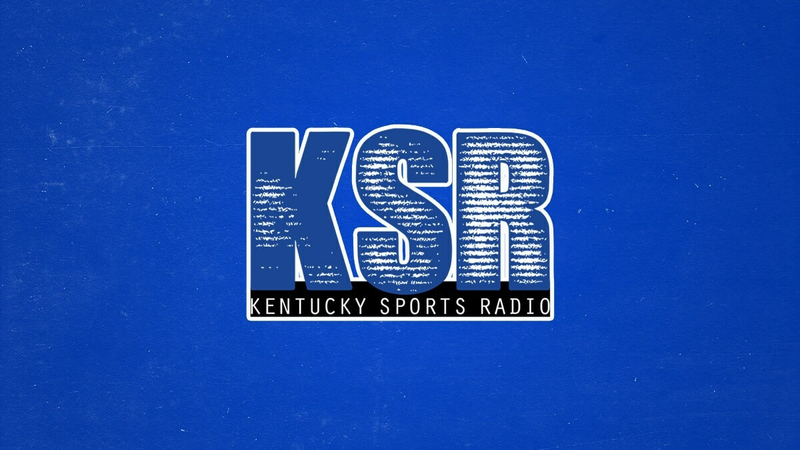 This morning, recruiting guru Evan Daniels joined KSR to provide the latest updates on some of the biggest names left in the class of 2019, along with his thoughts on who might be reclassifying from 2020 and whether or not Kentucky has a shot with them. To kick things off, Daniels talked about 2019 five-star power forward Matthew Hurt and his upcoming decision set for April 19. While he believes Duke is the leader and has a Crystal Ball pick submitted in favor of the Blue Devils for the 6-foot-9 forward, the 247 Sports insider said Kentucky is also in decent shape and could make up some ground when they visit him in Minnesota on Sunday. When it came to the other big name remaining in the class of 2019, five-star forward Jaden McDaniels, Daniels seemed a bit more uneasy about his ultimate landing spot. He mentioned the obvious connection with the hometown Washington Huskies, and also added that he’s comfortable with the coaching staff at San Diego State because his brother played basketball there over the last two years. Outside of Hurt and McDaniels, Daniels said that there is a pretty decent chance (but not set in stone) that 2020 combo guard RJ Hampton reclassifies to the class of 2019. As for a specific destination, Hampton himself said he was interested in playing with an elite point guard in college, leading some to believe that this helps Kentucky’s chances since both Tyrese Maxey and Ashton Hagans will be in the backcourt next season. While there’s certainly truth to what Hampton had to say, the 247 Sports insider said that he likely won’t make his decision based specifically on who is playing point guard at any school alone. With potential additions out of the way, Daniels moved on to discuss the players who are already committed and/or signed to play at Kentucky next season. When it comes to UK’s newest commitment, 6-foot-8 graduate transfer Nate Sestina, Daniels believes he will come in and be a difference-maker right away, but cautioned fans to not assume that we’ll be seeing Reid Travis 2.0 next season. The first commitment in the class, five-star guard Tyrese Maxey, was easily the player Daniels was most excited about for Kentucky next season. As for UK commitment Kahlil Whitney, Daniels said that he’s impressed with the 6-foot-6 forward’s potential and his versatility, something that separates him from his peers in the class of 2019. With five-star forward Keion Brooks Jr., Kentucky’s most recent addition on the 2019 recruiting circuit, Daniels also raved about the Fort Wayne, IN native’s versatility. When asked about his recruitment, Daniels said that Kentucky just weathered the storm and maintained a consistent approach, something that resonated well with both Brooks and his family. And last but not least, Daniels broke down Kentucky signee Dontaie Allen, saying he was a big fan of the Pendleton County forward’s ability to score the ball. In fact, Daniels said that Allen is the kind of player Kentucky needs to have on their roster going forward for a chance to win a national championship in the near future. To close things out, Daniels also touched on whether or not we should be anticipating any potential staff changes for Kentucky in the near future. While Tony Barbee was in the running for the Georgia State head coaching job and Joel Justus was considered for the Appalachian State job, Daniels doesn’t think we’ll see any staff changes this offseason. “As of now, I don’t see any changes coming,” he said. We need to land Hurt for a variety of reasons. In addition to what he brings to the table, Cal needs to win a head-to-head recruiting battle with K. Whenever Duke sets its sights on a player, they get him most of the time. That has to change. While this seems true, here’s the reality. Cal isn’t losing in recruiting. We have heard from many people they bought Marvin Bagley. We have heard they paid Zion’s mom. Duke was even on the list of places Zion was going to by almost all recruiting sources the week he announced. So unless Cal resorts to the dirty tactics used by Duke who is unfortunately untouchable, it’s something we are going to have to live with. Hurt is a terrible fit. What do you do with a bigger Kyle witjer? Can’t guard. Can’t get his own shot. Can’t post. Can’t rebound. Soft. Pass. Please go to Puke. I agree, plus he’s smaller than Wiltjer. Wow, yeah, he’s so awful. That’s why Kount K is after him just as hard as Cal. I’m glad you’re here to tell them he can’t play and that it’s just a figment of their collective imaginations. Is what BBN does when we lose recruits. Last year when Zion went dUKe all on here said he was over rated and fat and going to be a dud, well not all said dud. Turns out had Cal got him we would be hanging #9. Like 8 butthurt people said that, let’s not get into a war over who says really dumb stuff on here, you’ll lose every time chief. dUKe did real well with Zion, didn’t they? Not when the refs actually called fouls. This sounds like the same things people said about Herro. Understand my skepticism of your assessment. Right now Duke owns UK in recruiting. So you’re saying Kentucky should hire a bag man like Duke has? No, they don’t. They own Kentucky in buying kids. Bagley was paid for. Zion was paid for. Cal can[‘t go there.